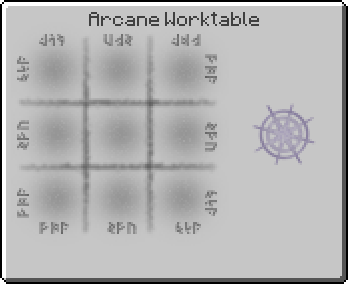 Air Arrow is an item added by the Thaumcraft 4 mod. Deals 6 divine damage, which bypasses armor. These arrows crackle with energy. They inflict similar damage to normal arrows, but the magical energy bypasses any kind of armor protection. These arrows inflict pure fire damage and set their targets alight. These arrows inflict normal damage, but chills your target to the bone, reducing their movement speed. These arrows have no special property beyond packing a lot more punch than normal arrows. This arrow does a little less damage than normal, but it bypasses armor and leaves your enemy weakened. This arrow does slightly less damage than normal, but inflicts a withering effect on whatever it hits. Primal arrows cannot be picked up from the ground and the Infinity enchantment has only a 1 in 3 chance of preventing a primal arrow from being consumed."